What microbes cause septic arthritis? What are symptoms and signs of septic arthritis? Which health care professionals specialize in the diagnosis and treatment of septic arthritis? Are there home remedies for septic arthritis? Is it possible to prevent septic arthritis? Septic arthritis is infection of one or more joints by microorganisms. Septic arthritis can be caused by fungal, viral, and bacterial infections. Risks for the development of septic arthritis include a patient taking immune-suppression medicines, intravenous drug abuse, past joint disease, injury or surgery, and underlying medical illnesses, including diabetes, alcoholism, sickle cell disease, rheumatic diseases, and immune deficiency disorders. By identifying infected joint fluid, doctors may make a diagnosis of this type of arthritis. Septic arthritis treatment requires a patient to take antibiotics and a health care professional to drain the infected joint fluid from the joint. Septic, or infectious, arthritis is infection of one or more joints by microorganisms. Normally, the joint is lubricated with a small amount of fluid that is referred to as synovial fluid or joint fluid. The normal joint fluid is sterile and, if removed and cultured in the laboratory, no microbes will be detected. With this form of arthritis, microbes are identifiable in an affected joint's fluid. 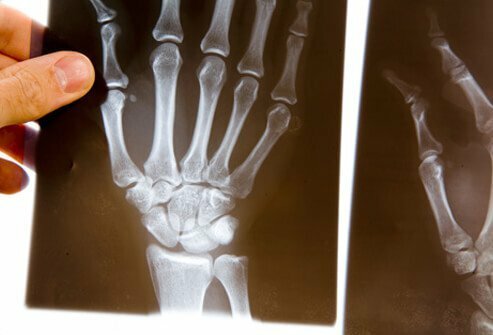 Most commonly, infectious arthritis affects a single joint, but occasionally more joints are involved. The joints affected vary somewhat depending on the microbe causing the infection and the predisposing risk factors of the patient affected. Septic arthritis is also called infectious arthritis. Joint aspiration can also be helpful in relieving joint swelling and pain. Removal of joint fluid that is inflamed can also remove the white blood cells within that are sources of enzymes that can be destructive to the joint. Occasionally, cortisone (an anti-inflammatory medication) or hyaluronic acid derivatives (a synthetic joint lubricant, approved for use in the knee only) are injected into the joint during the joint aspiration in order to rapidly relieve joint inflammation and further reduce symptoms. Septic arthritis can be caused by bacteria, viruses, and fungi. The most common causes of septic arthritis are bacterial, including Staphylococcus aureus (staph) and Haemophilus influenzae. In certain "high-risk" individuals, other bacteria may cause septic arthritis, such as E. coli and Pseudomonas spp. in intravenous drug abusers and the elderly, Neisseria gonorrhoeae in sexually active young adults, and Salmonella spp. in young children or in people with sickle cell disease. Other bacteria that can cause septic arthritis include Mycobacterium tuberculosis and the spirochete bacterium that causes Lyme disease. Viruses that can cause septic arthritis include hepatitis A, B, and C, parvovirus B19, herpes viruses, HIV (AIDS virus), HTLV-1, adenovirus, Coxsackieviruses, mumps, and Ebola. Fungi that can cause septic arthritis include Histoplasma, Coccidioides, and Blastomyces. Septic arthritis is not contagious. However, many of the microbes that cause infectious arthritis can be transmitted from an infected patient to another, including Neisseria gonorrhoeae, Staphylococcus aureus, Mycobacterium tuberculosis, and HIV. While joint infection occasionally affects people with no known predisposing risk factors, it more commonly occurs when certain risk situations are present. Risks for the development of septic arthritis include taking medications that suppress the immune system, intravenous drug abuse, past joint disease, injury, or surgery, and underlying medical conditions and diseases including diabetes, alcoholism, sickle cell disease, rheumatic diseases (for example, rheumatoid arthritis), and immune deficiency disorders. People with any of these conditions who develop symptoms of septic arthritis should promptly seek medical attention. Clinical symptoms of septic arthritis include fever, chills, as well as joint pain, swelling, redness, stiffness, and warmth. Joint pain most commonly affects large joints, such as the knees, ankles, hips, and elbows. In patients with risk factors for joint infection, unusual joints can be infected, including the joint where the collarbone (clavicle) meets the breastbone (sternum). With uncommon microbes, such as Brucella spp., atypical joints can be infected, such as the sacroiliac joints. Septic arthritis is a medical emergency. Doctors who treat septic arthritis include emergency physicians, internists, rheumatologists, orthopedists, infectious disease physicians, and rehabilitation-medicine providers. Health care professionals make a diagnosis of septic arthritis by identifying infected joint fluid. During an arthrocentesis (joint aspiration), synovial fluid can easily be removed from the joint space of a patient in an office, hospital, or clinical setting with a needle and syringe. The synovial fluid is analyzed in a laboratory to determine if there is an elevated number of white blood cells to suggest inflammation. A culture of the synovial fluid can identify the particular microbe and determine its susceptibility to a variety of antibiotics. Treatment of septic arthritis includes antibiotic therapy and drainage of the infected joint (synovial) fluid from the joint (arthrocentesis). No. Septic arthritis is a medical emergency and requires acute treatment by an appropriate medical team. It is possible to prevent septic arthritis by avoiding infections, puncture wounds, and damage to the skin. Abdulaziz, Al-Ahaideb. "Septic Arthritis in Patients With Rheumatoid Arthritis." J Orthop Surg 3 (2008): 33. "Children With Swollen, Painful Knees: Is It Lyme Disease or Septic Arthritis?" May 11, 2016. American Academy of Orthopaedic Surgeons. <http://newsroom.aaos.org/media-resources/news/new-study-lyme-disease-septic.htm>. Horowitz D.L., E. Katzap, s. Horowitz, and M.L. Barilla-LaBarca. "Approach to septic arthritis." Am Fam Physician 84.6 Sept. 15, 2011: 653-660. Mathews, C.J., et al. "Management of Septic Arthritis: A Systematic Review." Ann Rheum Dis 66.4 Apr. 2007: 440-445. Ross, J.J., et al. "Pneumococcal Septic Arthritis: Review of 190 Cases." Clin Infect Dis 36.3 Feb. 1, 2003: 319-327. What was the treatment for your septic arthritis? What were the symptoms of your septic arthritis? Please describe your experience with septic arthritis. What tests and exams did you have that led to a diagnosis of septic arthritis?